Perfect edible addition to your seasonal decorations! 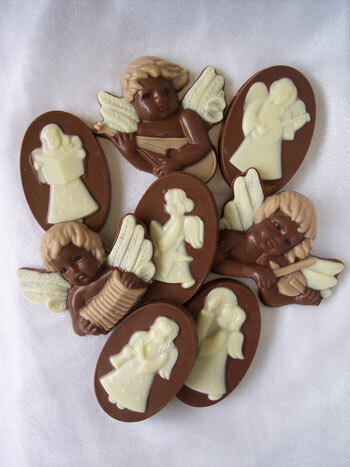 Mixed Chocolate Chirstmas cherubs and angels hand decorated with milk, white, and coloured chocolate. Value pack includes three cherubs and four angels. Ideal Christmas tree decoration, or stocking filler. Weight per angel or cherub 25g.